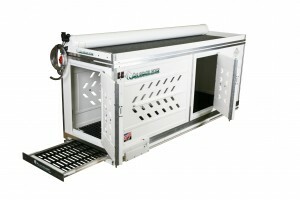 At 73.5” long, this is the ultimate dog kennel for the multi-dog outdoor enthusiast. 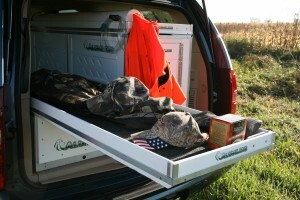 The 70 Series dog crate fits in most 6-1/2’ pickup beds with plenty of space to fit up to three dogs comfortably. This model also comes with a standard, quick release, center door to separate front and rear dogs. 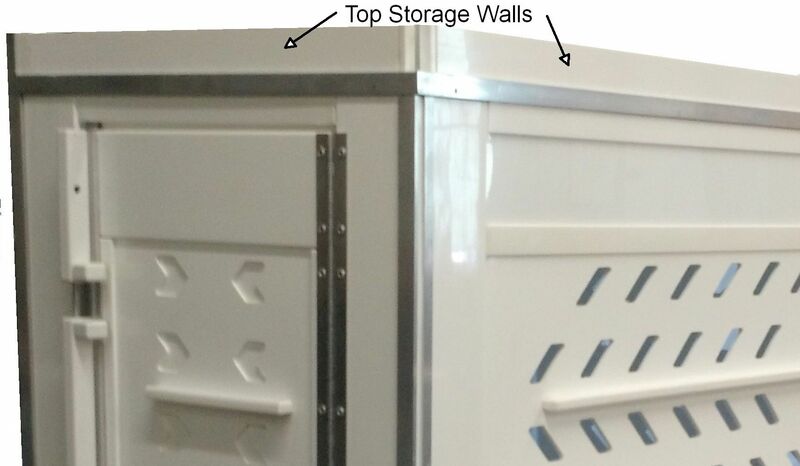 If you’re looking for space with options, this is the dog kennel for you. Options/Upgrades include Kargo Glides, dog kennel lights, dog kennel side doors, dog kennel fans and dog kennel ramps to prevent joint stress in your dog. Center Door – Swings into closed (to divide compartment) or open position to separate front and rear dogs. Add 1-3/4″ to standard height. Add 6 lbs to standard weight. Add 3.5 lbs to standard weight. Kargo Glide – Allows easy access to cargo. Add 26 lbs to standard weight. 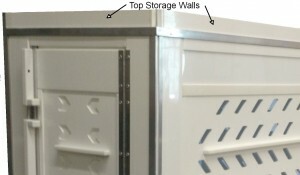 Side Door – Side Door option allows entry/exit for the dog in the back of the kennel without having to let them out the front. 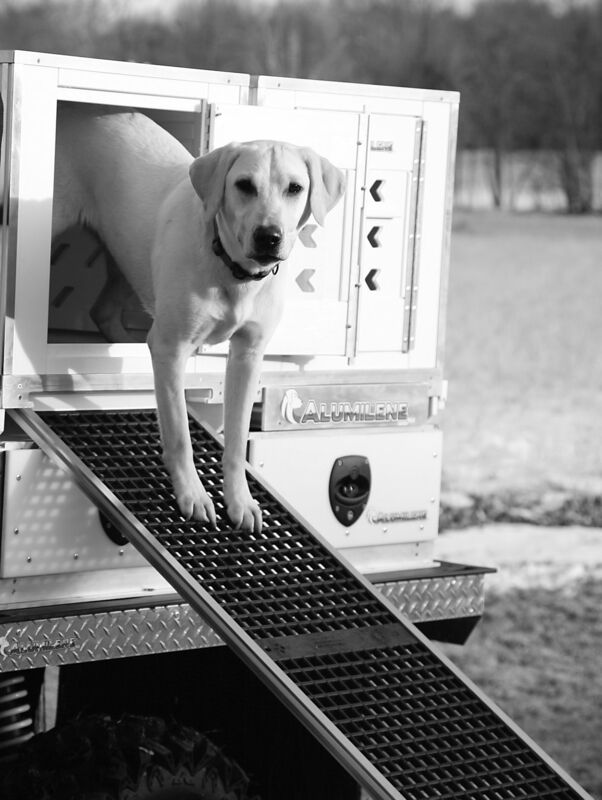 HDX Ramp (Heavy Duty Extra Long) – Extends up to 88″ – Ramp stores underneath and slides out from the bottom of the kennel. Prevents your dog from getting joint stress and incurring expensive veterinary bills. Add 2 7/8″ to standard height. Add 23 lbs to standard weight. Base Slide Frame (allow kennel to slide) – Solid frame allows kennel to be pulled out to tailgate edge in order to extend ramp or for cleaning out kennel. 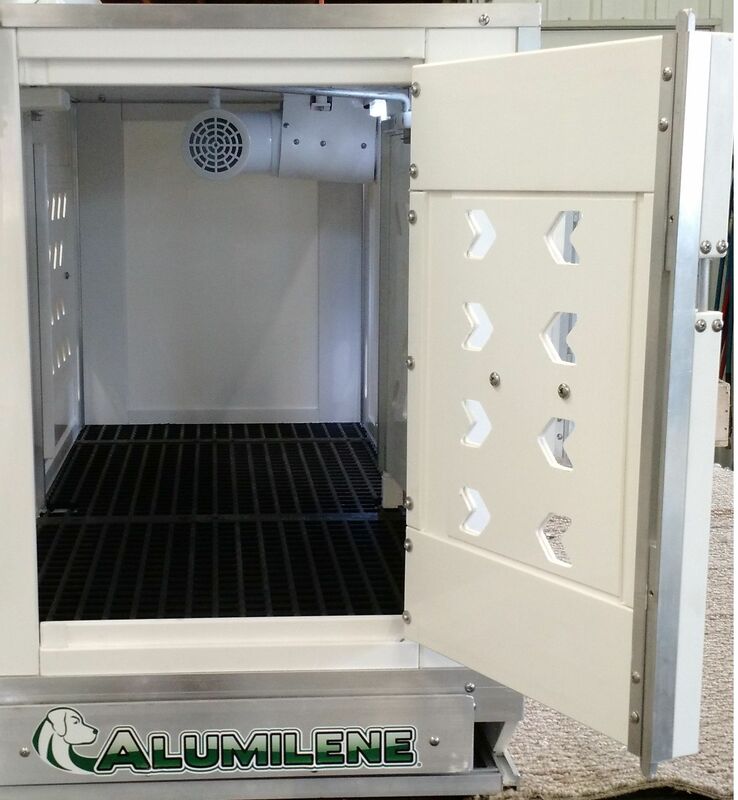 Add 3-1/4″ to standard height. Add 9 lbs to standard weight.